Slowbeer is our take on the slowfood movement that started in Italy. It emphasizes regional character, quality ingredients & above all appreciation of the experience, in essence the opposite to fast food. With this in mind it seemed apt that we choose slowbeer as a means of conveying similar attributes of the now global craft beer revolution. Starting out in Hawthorn as a pure retail store in 2009, we quickly outgrew the space & moved to Richmond in early 2012. Taking inspiration from European Bier Cafes we gave it our own modern, craft beer twist. The Richmond store operated as a retail store & bar, offering 4 rotating taps, as well as artisan cheese & charcuterie. 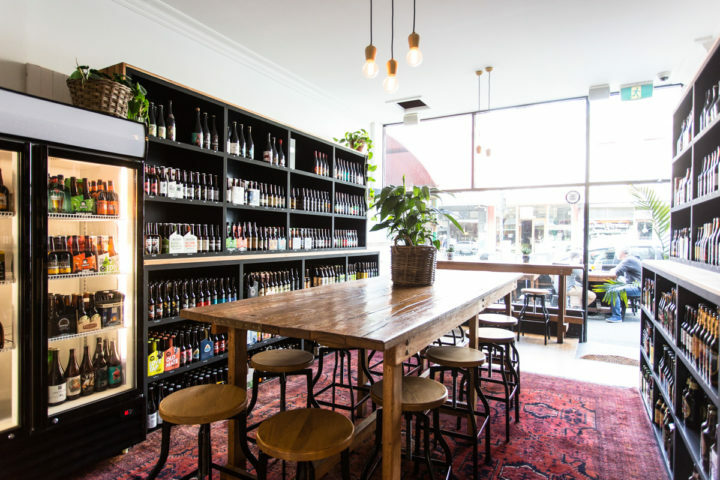 In September 2016 we opened a larger location on Smith St, Fitzroy, offering a comparable bottled range to Richmond, as well as 5 regularly changing taps. The venue itself houses a cosy upstairs lounge with pool table, that can be hired out for private functions.